or any other equestrian business in Ireland? Whether you’re looking for the best horsey gear, looking for an equestrian business or service provider near you, or are looking for insights into training and horse care from our fantastic panel of experts in the HorsePlay Blog, HorsePlay.ie is the website for you. Would you like to get involved with HorsePlay and help to make horsey things happen? Please do get in touch, we’d love to have a chat with you! Looking for a livery yard? A cross country schooling venue? Or maybe a new farrier? 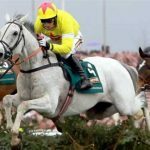 Interested in hearing the thoughts of other like minded Irish horsey nuts and some top class riders? 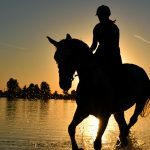 The HorsePlay Equestrian Directory is designed to make it easy for horse lovers like you to find the businesses and services you need, when you need them. And if you're an equestrian business, we make it easy and super cost effective to put your business in front of the people that matter. List your business today.